Don’t wait to get your 2019 Winter Concert tickets – they are selling fast. Know why? Because concerts at Country Lane Lodge are awesome. It’s really that easy. Get your tickets now and buy a couple for the hard-to-buy-for people on your Christmas list. You’ll thank us later! 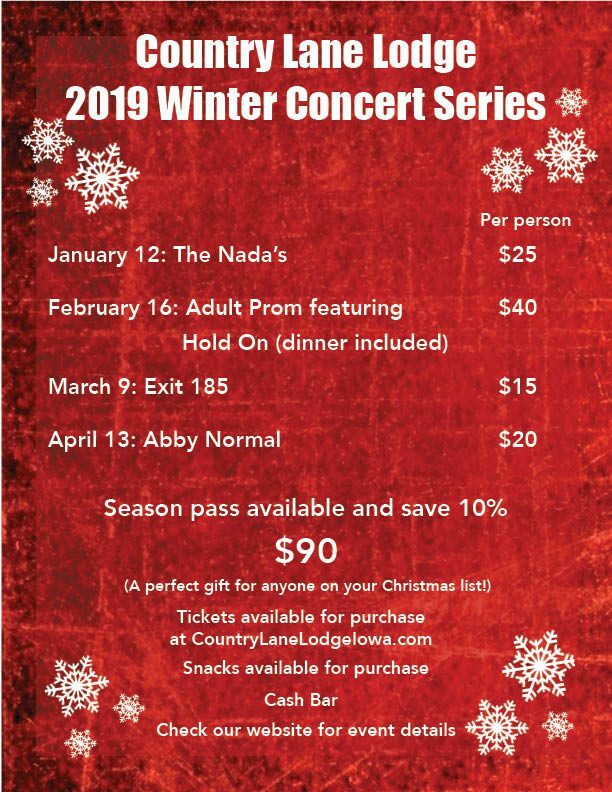 Get your tickets today for the 2019 Winter Concert Series at Country Lane Lodge! 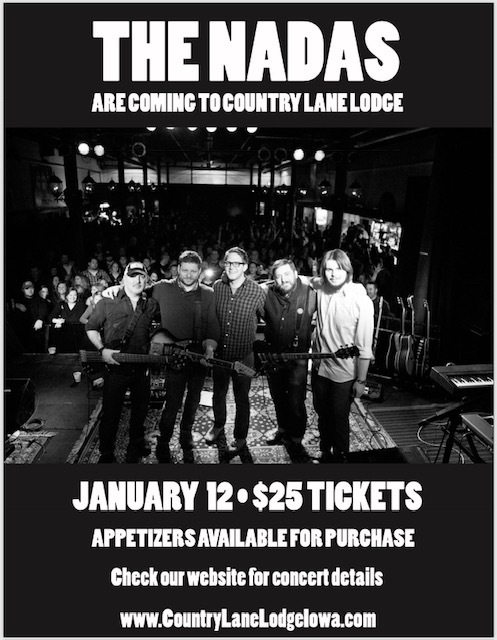 – You are Invited – Country Lane Lodge has put together a 4 concert series starting in January, 2019. So plan to get out of the cold and listen to great music at our beautiful rustic lodge each month this winter. 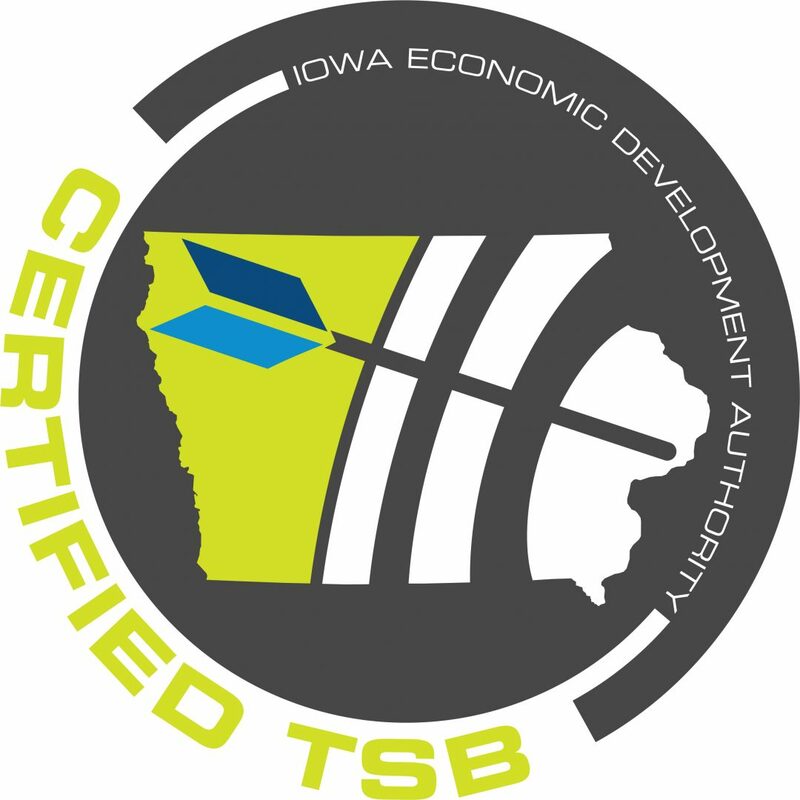 Looking for a great Christmas gift? 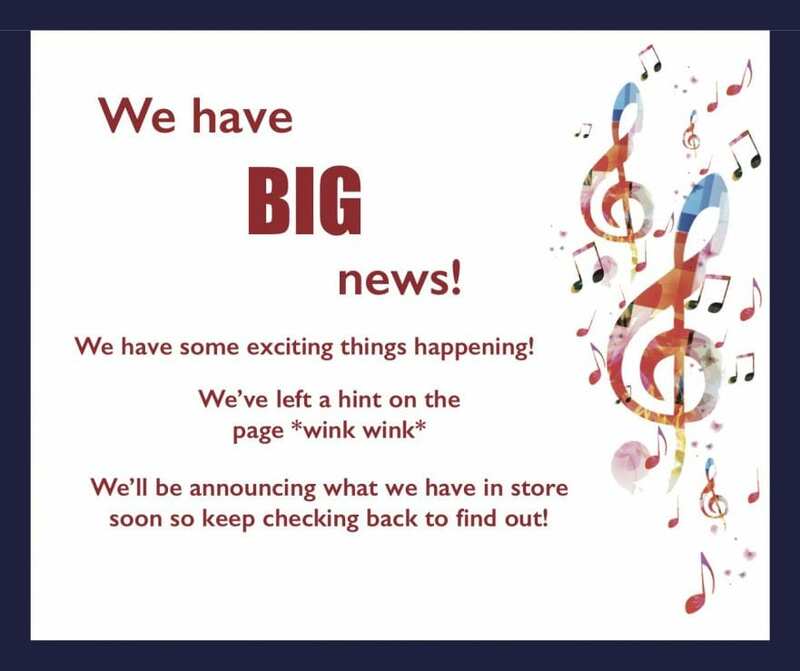 Look no further – Get your tickets here!